Why I started and still love Flatter Fashion, and why this website is – and always will be – ad free and unsponsored! 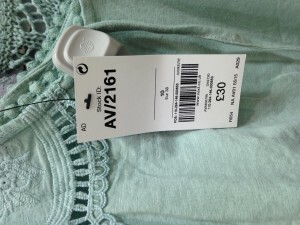 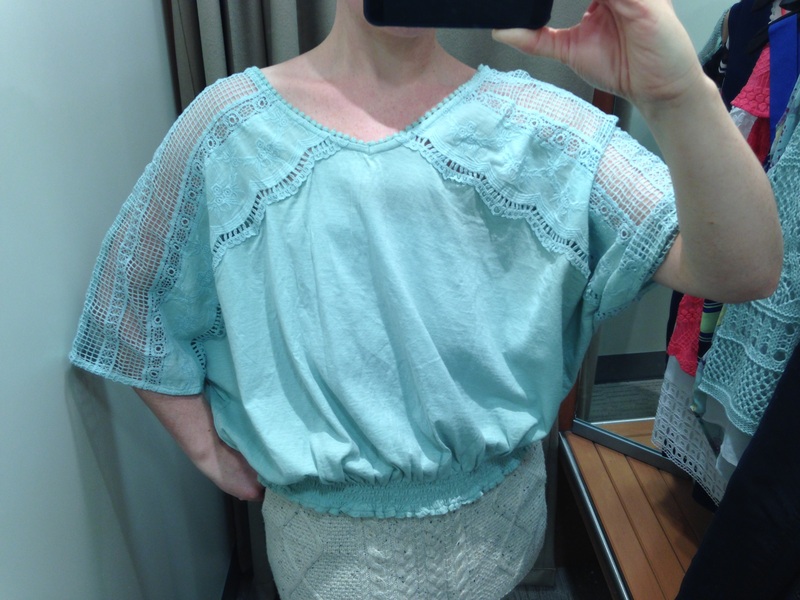 Below are a couple of mint green tops for the Spring/Summer (there are other colours available!). The first one is an ethnic batwing cotton top and elasticated waistband. Verdict: The batwing sleeves add width across the chest and the gathered waist adds volume. 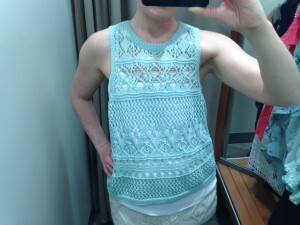 The second top is a crocheted vest layered over an integral cotton lycra vest. 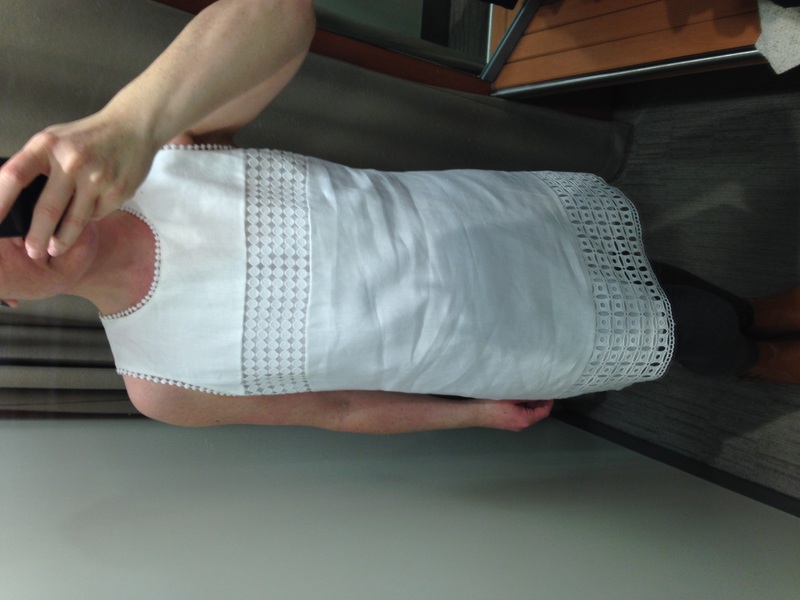 Verdict: Nice fit and the texture adds interest, however I would probably shorten the straps on the white vest as it felt a little low for me. 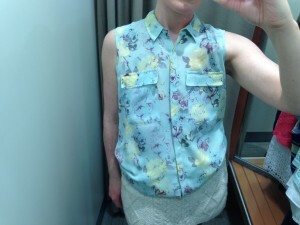 The sleeveless shirt below has a nice loose fit and is made from a soft silky cotton material so felt really comfortable on. 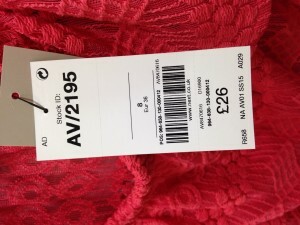 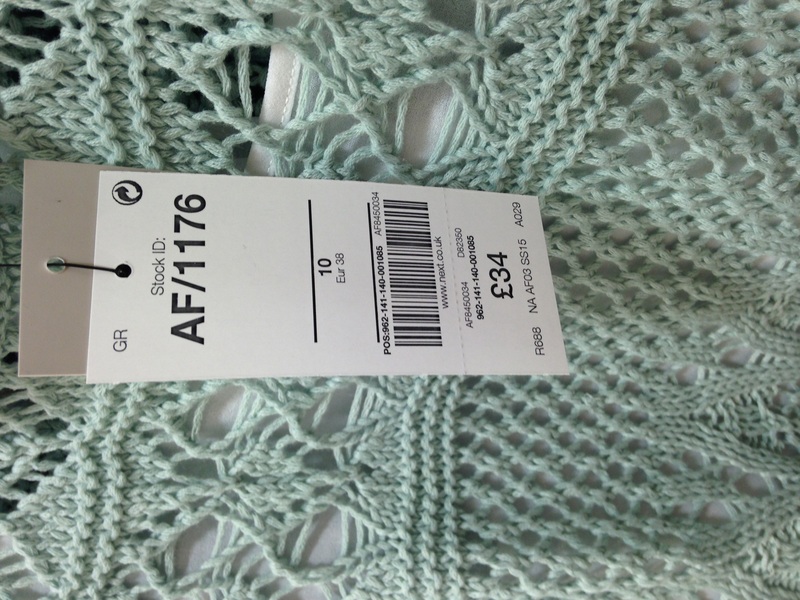 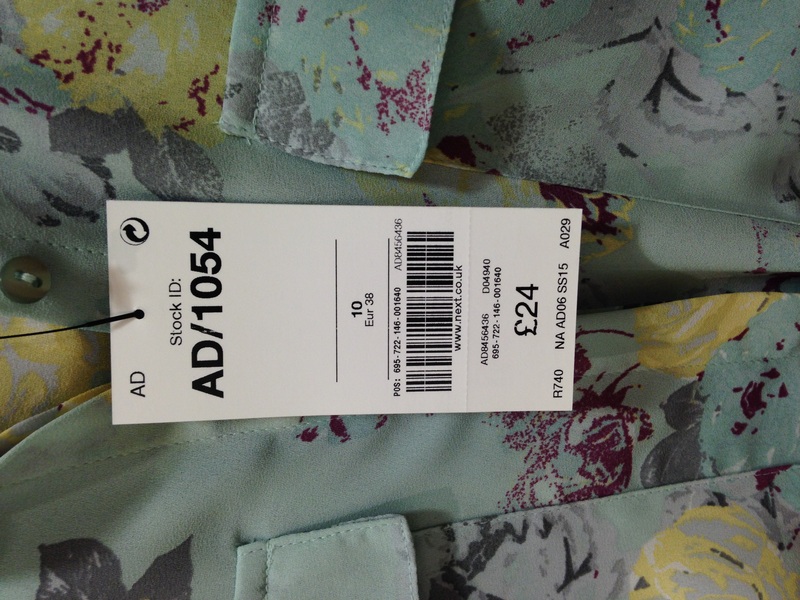 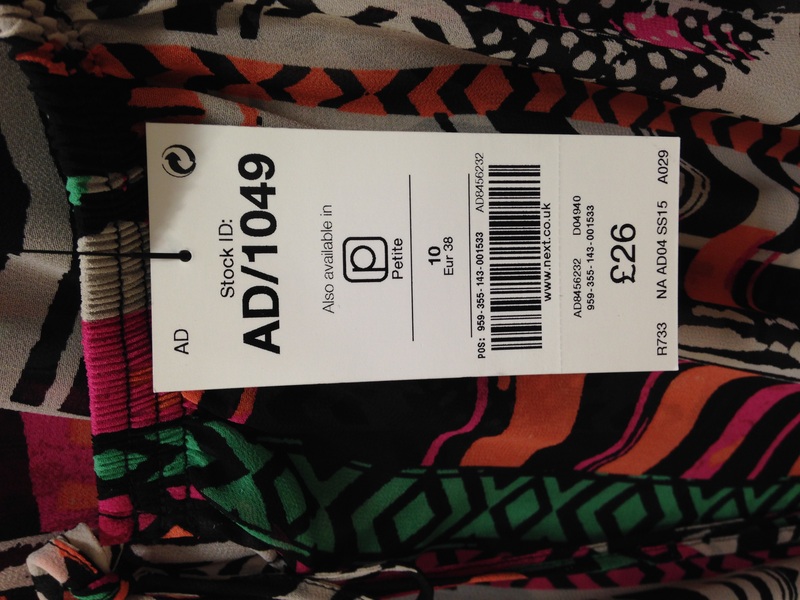 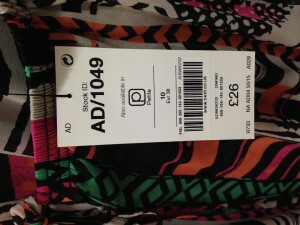 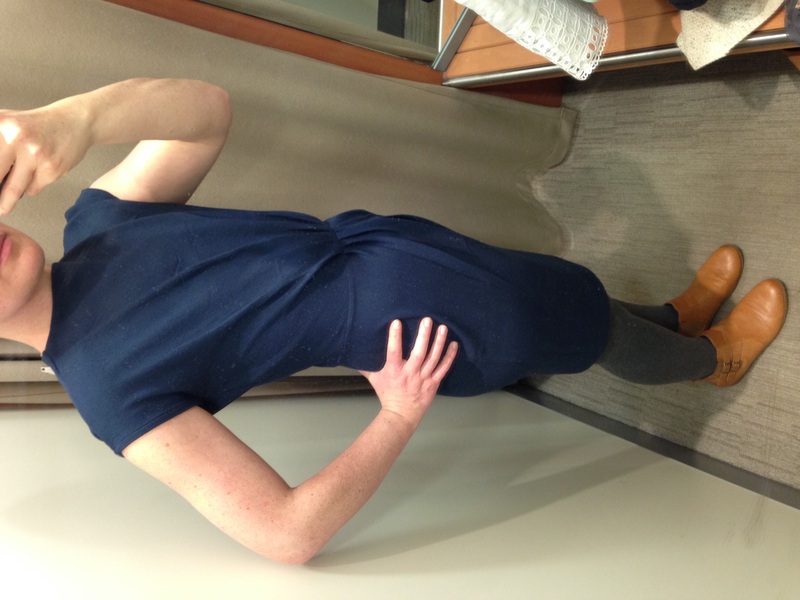 The first picture shows that I hadn’t really thought about what to wear on a Changing Room Trip as the shirt didn’t hang very well over my chunky knit skirt! 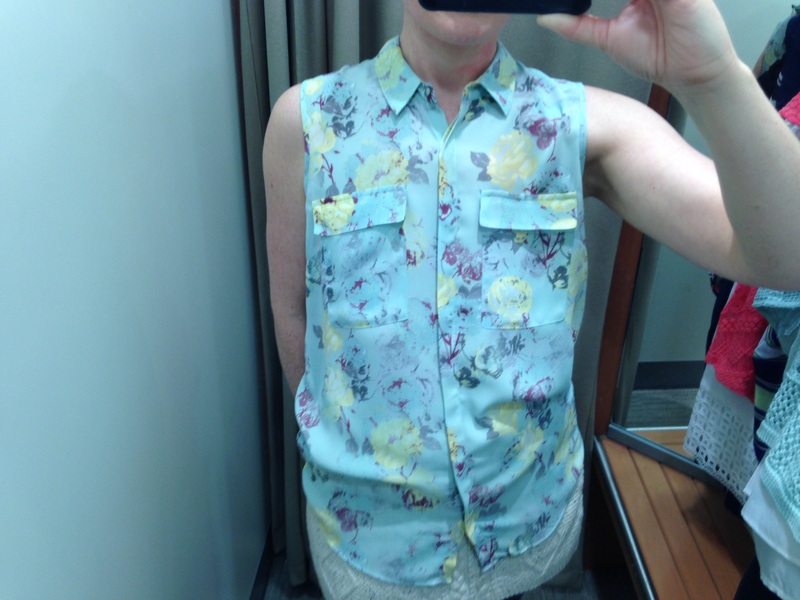 Verdict: Summery pattern and breast pockets really suited my flat chest. 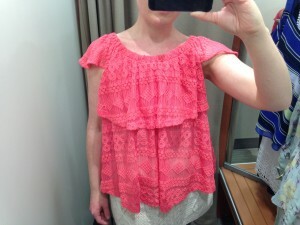 This pink crochet top is not something I would have tried on before my mastectomy as it is quite ‘flouncy’. 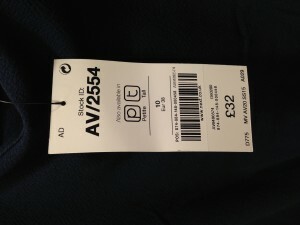 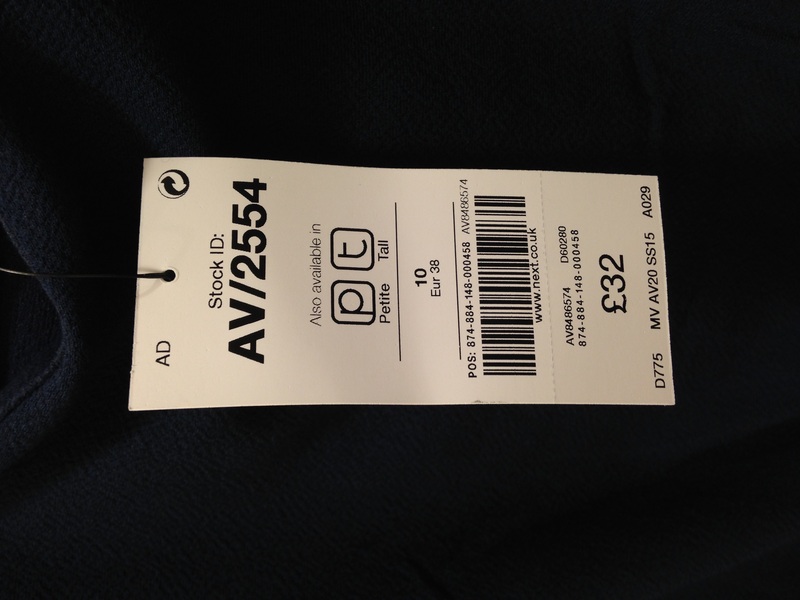 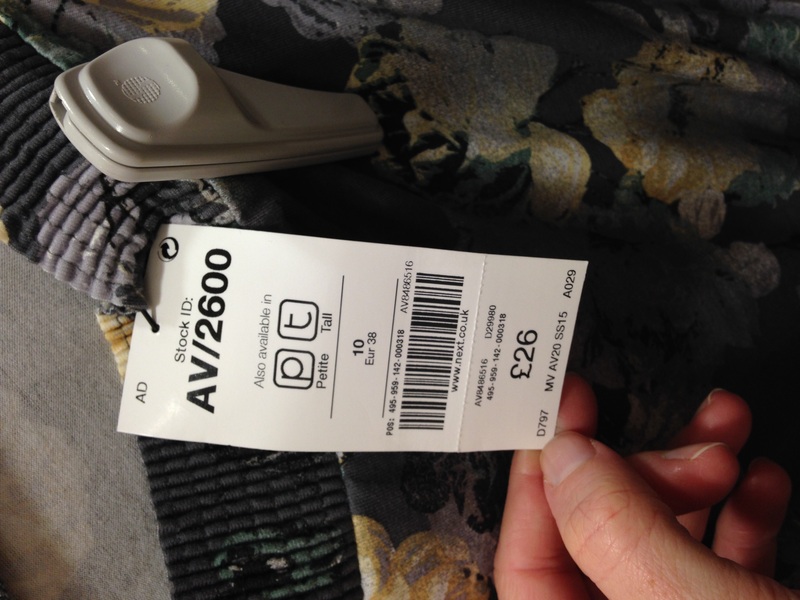 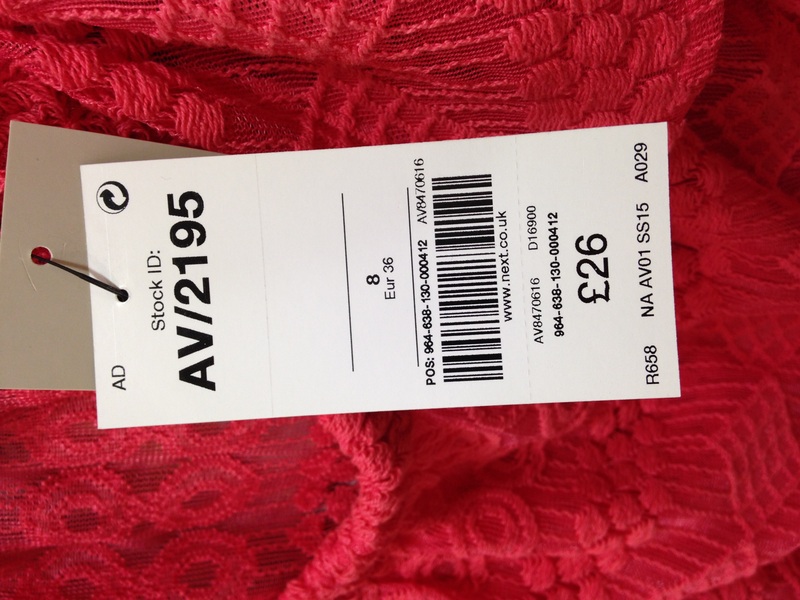 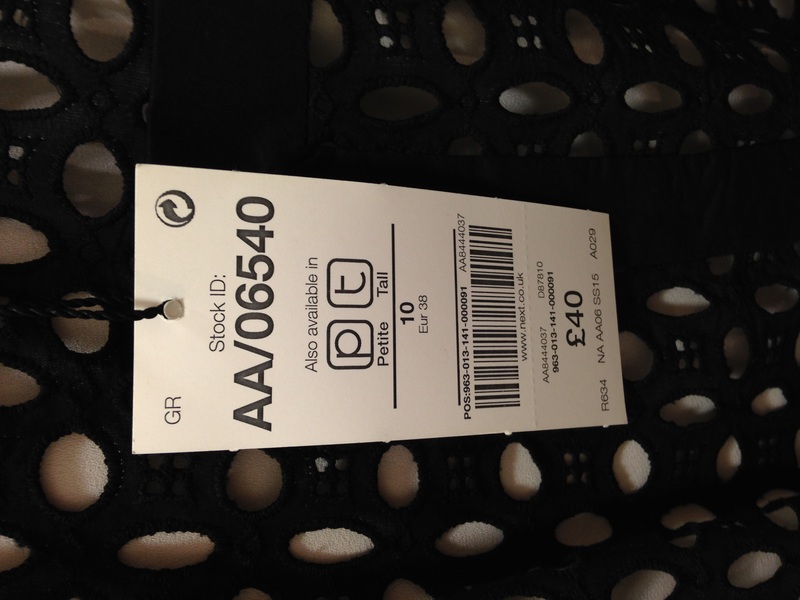 It looked big on the hanger so I tried on a size smaller which was more than big enough. 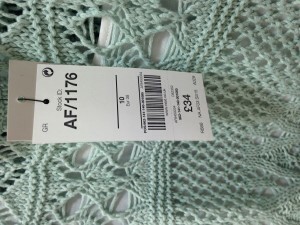 This top is available in different colours. Verdict: The ruffle adds volume across the chest and the under layer is loose fitting. The texture material adds interest. 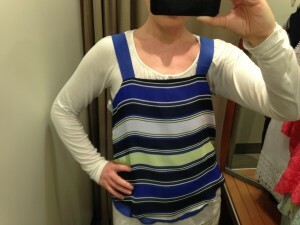 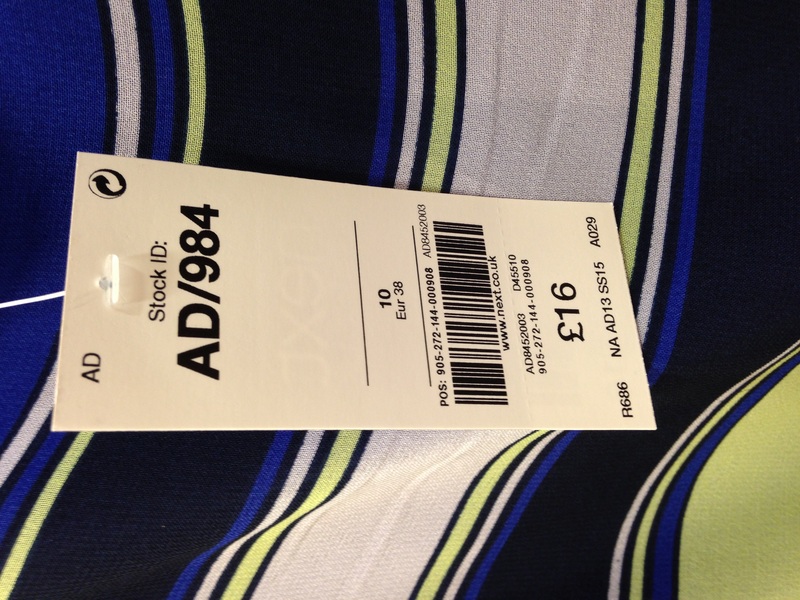 This stripy vest (available in different colours…this must be the Next way?!) 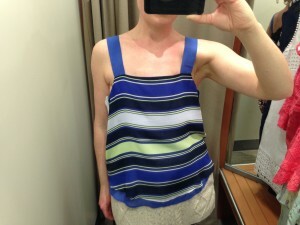 has bold stripes, chiffon layers and a loose straight fit, however it seemed to fall a little low across the chest for me, showing off too much of my décolletage and my scars were visible on the underarm seam. 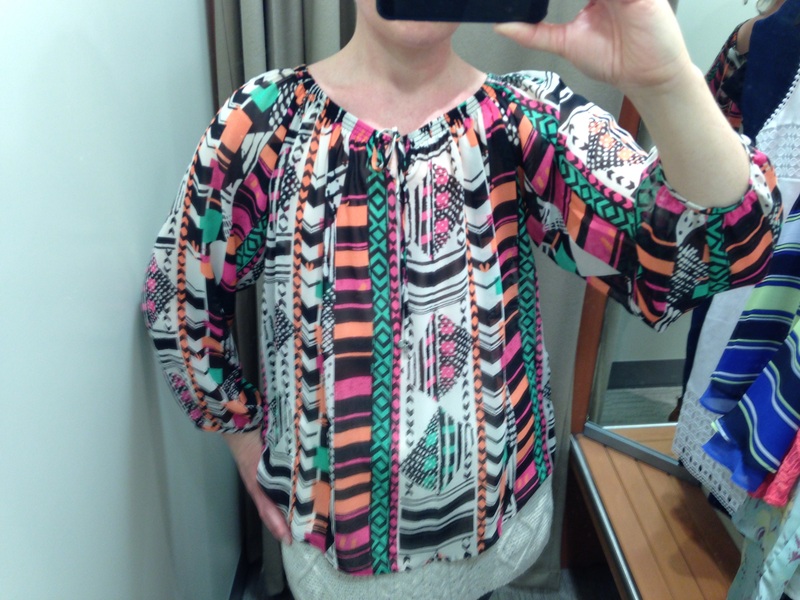 I also tried it on with the long sleeved top I had with me. Verdict: May need some alteration to the strap, or layering over a suitable top? 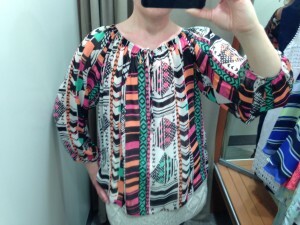 The aztec print blouse below (Yes, you guessed, available in other colours) Has a gathered neckline which would allow you to wear it off the shoulder and has a lovely floaty loose fit. This is quite a sheer chiffon but my scars were not noticable through the fabric. Verdict: Nice on its own or layered over a colourful vest. 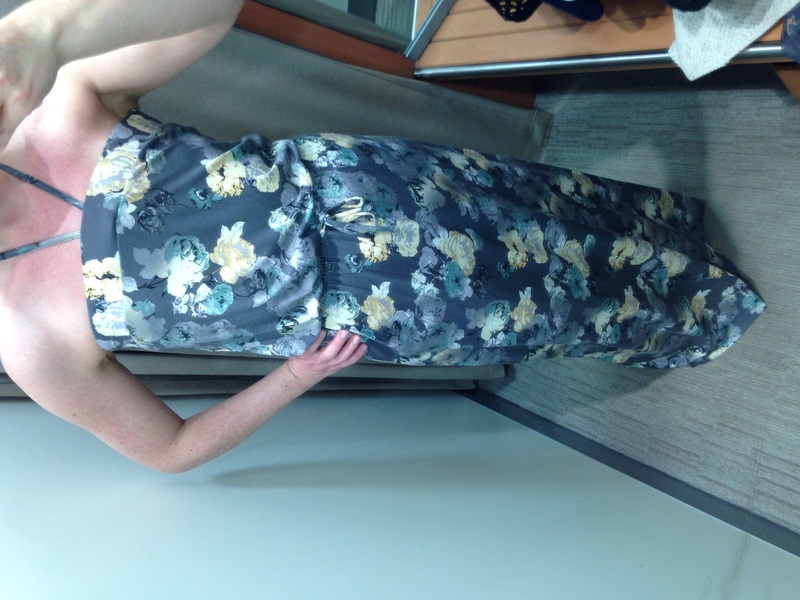 First is a maxi dress, perfect for the summer and available in different colours! 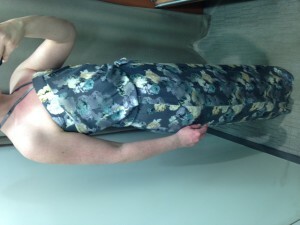 It is a great soft jersey fabric with an elasticated waist and could be worn strapless. Verdict: The elasticated top, as opposed to shirring, sat above my scars so was very comfortable. 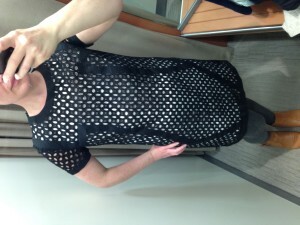 The pattern and looseness of the bust area suited my flat chest. The next three dresses are smarter and would be suitable for work or summer weddings and parties. 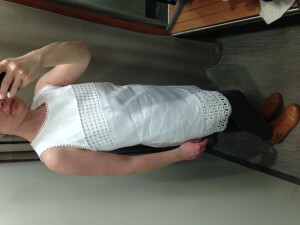 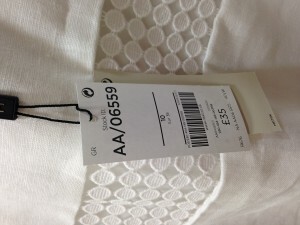 This white cotton dress is straight shift style cut with no darts. Verdict: This felt great on and the openwork textured detail across the bust adds interest. 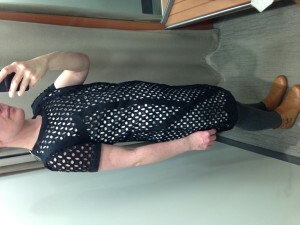 The geometric dress below is also a straight shift style with a black cotton crochet/lace overlay. 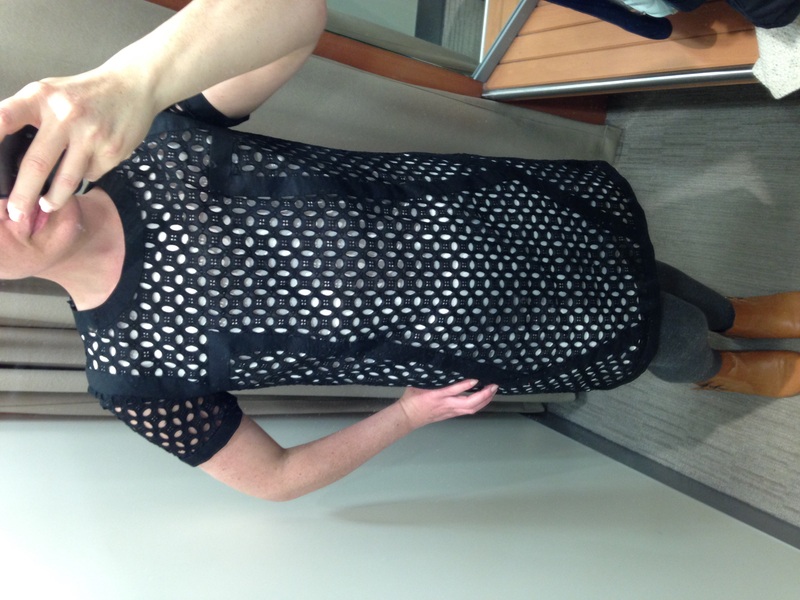 Verdict: The black pattern lines add the illusion of an hourglass shape. 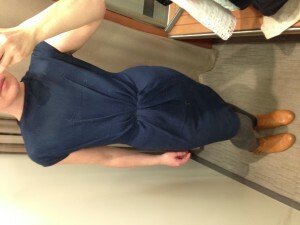 Lastly, a navy crepe dress which is similar to an Marks and Spencer dress I tried on a few weeks ago. This one had a very small neck band and felt a little snug around the waist. 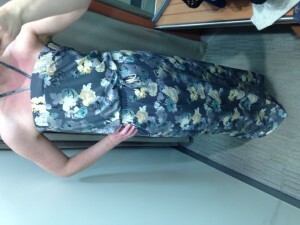 Verdict: I will be going back some time soon to try this on in the next size up.